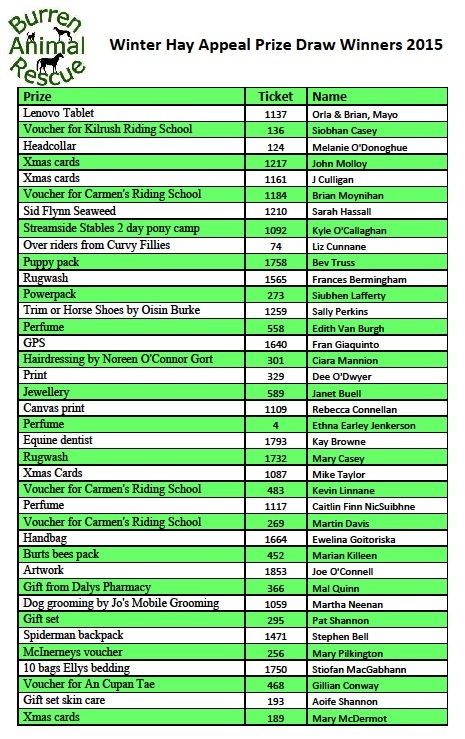 A big thank you to everyone who bought and sold tickets for our Winter Hay Appeal Prize Draw. Contact will be made with the above named to arrange getting your prizes to you. A final tally will be done to see the total raised in the next day or two and we will let you all know the result.